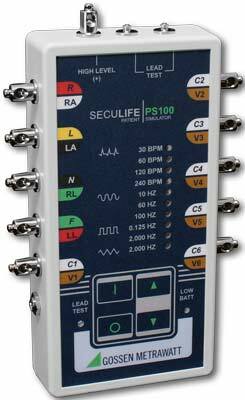 The SECULIFE | NIBP is the high-end product from the new range of microprocessor-based NIBP simulators and is distinguished by a great variety of functions. 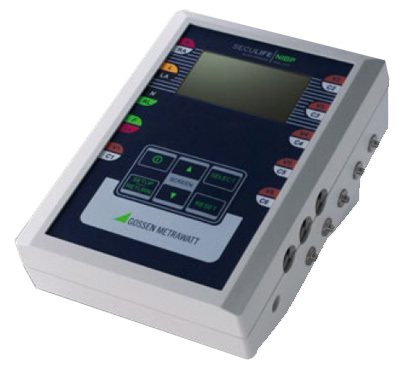 It includes functions such as NIBP, IBP, ECG, temperature, arrhythmia, respiration, leak detection and much more. Specially developed to cover a great diversity of functions and nevertheless to ensure a compact design, the SECULIFE | NIBP fulfills the requirements of modern medical technology. It makes no compromises with regard to functionality and input diversity. There’s hardly another product with a similarly large range of features. And the ability to provide offsets for specific NIBP manufacturers is otherwise only made available by systems with considerably higher procurement costs. In addition to visualizing selected parameters and functions, the utilized graphic display can also be used for the visual representation of waveforms and to display pressure values. Integrated flash memory permits trouble-free firmware upgrades. It’s equipped with freely selectable modes including adult, neonatal, hypersensitive and hyposensitive. It can be easily expanded to include an SpO2 function. 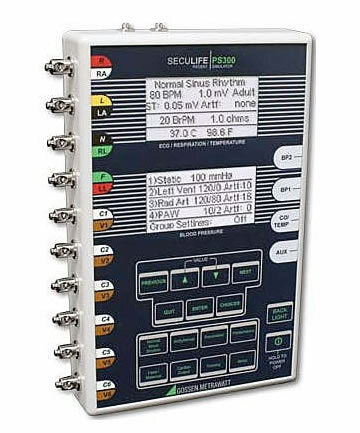 The SECULIFE Ox one FingerSIMTM test system makes it possible for technical medical personnel to evaluate pulse oximeters and sensor functions under three simulated light absorption conditions. Typical values of 80%, 90% and 97% SpO2 can be simulated. With the help of this new simulation method, interaction between the sensor’s sensitivity to light and oximeter calibration is taken into consideration. 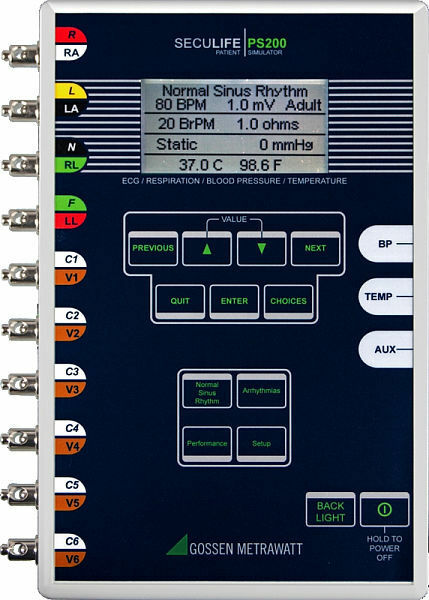 NIBP, IBP, ECG, temperature, arrhythmia, respiration, leak detection and much more.